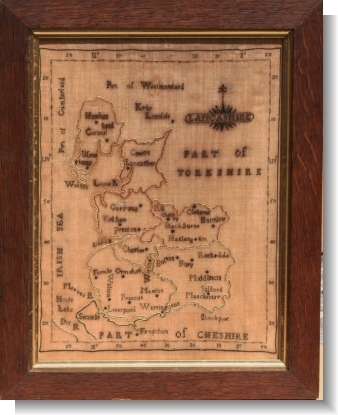 Map samplers offerd teaching not only in sewing but also Geography be it on a World or local area as both were produced as samplers. Most were copied directly from known printed examples other\'s from free hand drawings . 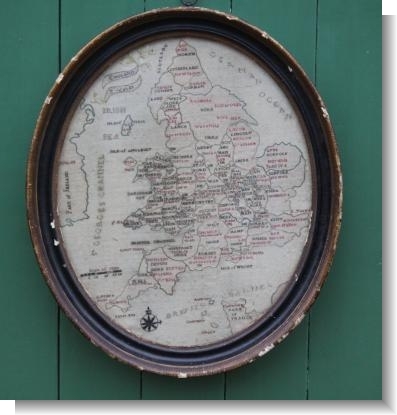 Map samplers were first introduced at the end of the 18th century and as the increasing use of globes and cheaper printed maps became avalable ther fashion declined in the mid 19th century , although as with many needlework skills they were reintroduced at the end of the century. 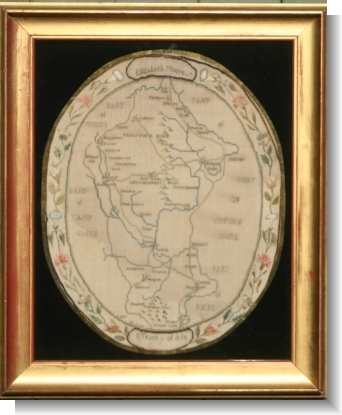 BERKSHIRE, c.1800 by ELIZABETH MOORE. 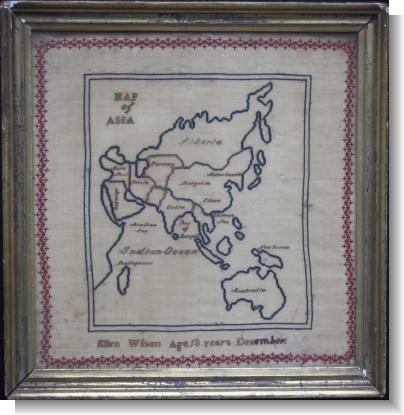 MAP OF ASIA , ELLEN WILSON, Liverpool late 1850's.